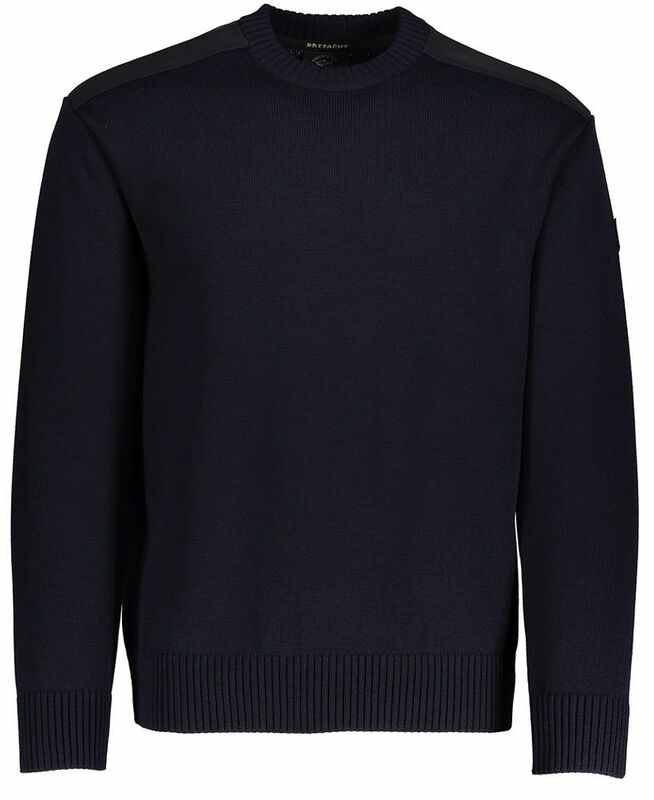 A classic easy to wear traditional pure wool sweater from Paul & Shark using THREE IN ONE TECKNOLOGY. 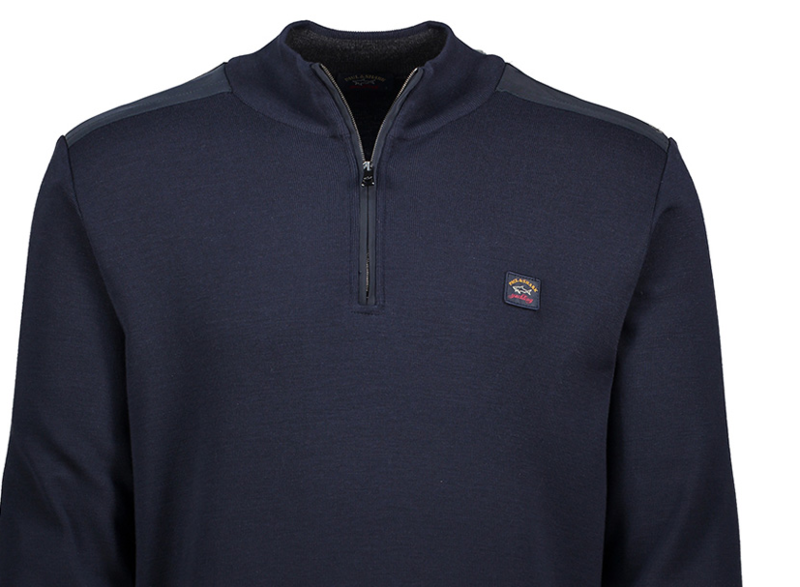 Micro fibre shoulder patches complete this nautical inspired piece. The left sleeve has the latest Paul & Shark patch logo. Heavy ribbed cuffs and waistband complete this classic Italian sweater. Three in One Technology was developed by Paul & Shark, where three strands are twisted together resulting in long wear and extremely low piling.